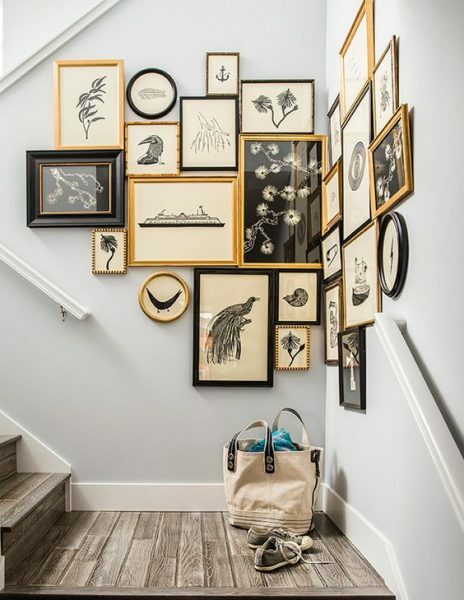 One of my all-time favorite ways of decorating a wall is by creating a “gallery wall.” They come in all shapes and sizes, and frankly, that’s the beauty of it. 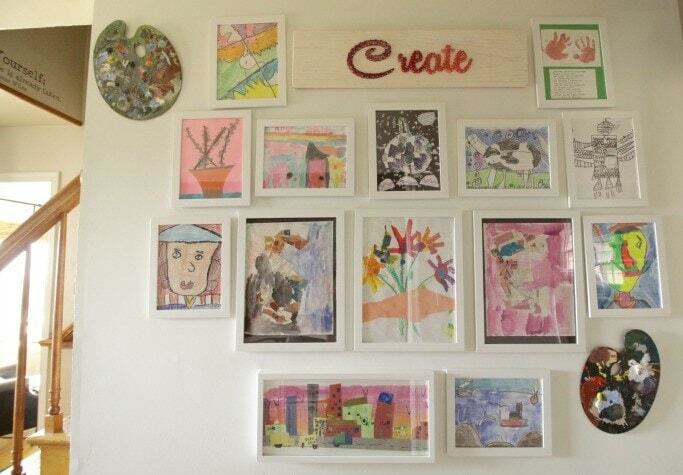 You can use everything from a collection of vintage paintings all painted in the same tones or of the same subject, to a grouping of black and white framed photographs, to a collection of your children’s artwork, to simply leaves pressed between inexpensive frames, or even a group of mirrors. 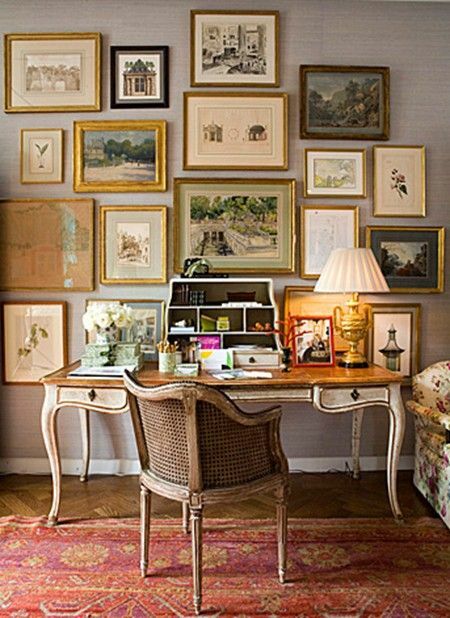 In fact, some of the most successful gallery walls mix it up, with a selection of art mixed with photography, maybe some shadow boxes, collectibles, even letters or numbers…. anything goes. 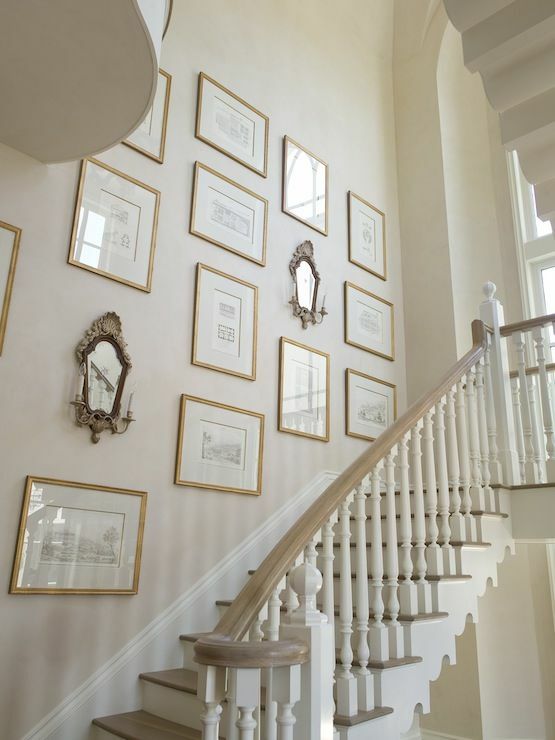 A gallery wall is an excellent way of covering a large wall, and it looks particularly good going up a stairwell or along a hallway. But truly, they work anywhere. 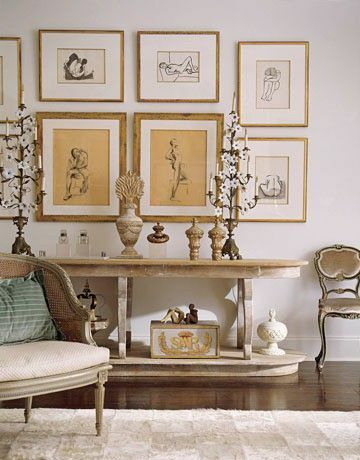 You can use ledges and lean your art on them, or simply hang your pieces on the wall, either way, you get a lot of bang for your decorating buck! One of my all time favorite vignettes! Everything here is gorgeous, but the collection of drawings really makes this corner pop. Designer Nancy Price. Here all different art styles are mixed, but unified by the gold frames. Love this! So gorgeous! Designer Windsor Smith. I absolutely love this wall! It adds so much character to the room! Hus & Hem magazine. 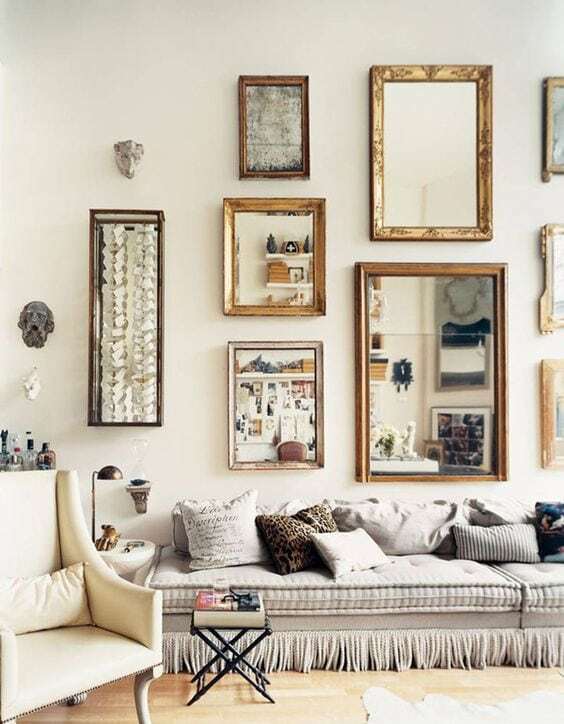 A wall of family photographs unified by similar frames. 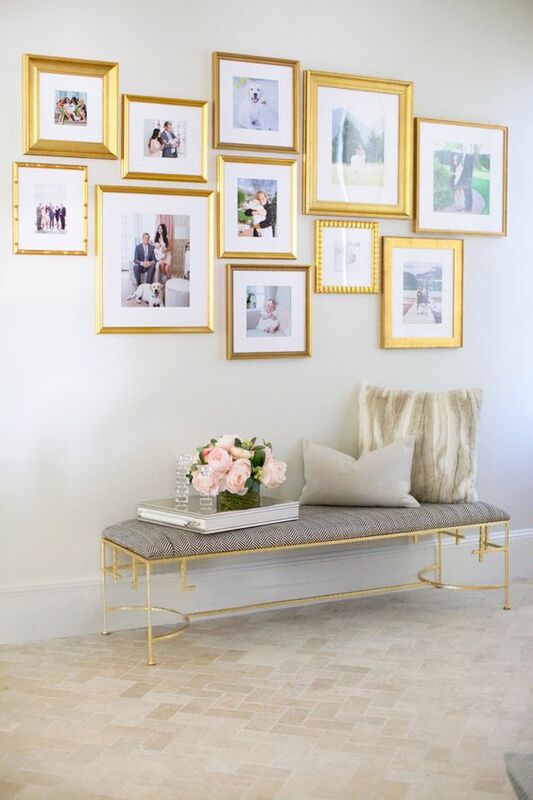 Rach Parcell’s house of Pink Peonies. LOVE when it’s a grouping of all b + w photographs. The graphicness of the grouping is so clean and crisp. 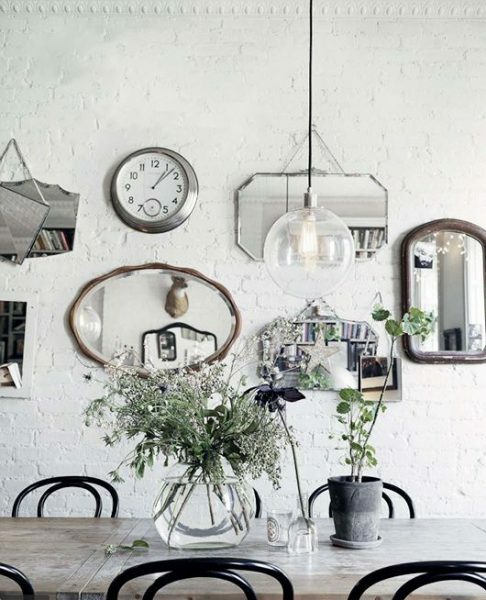 Photographer Matthew Brooke’s home. 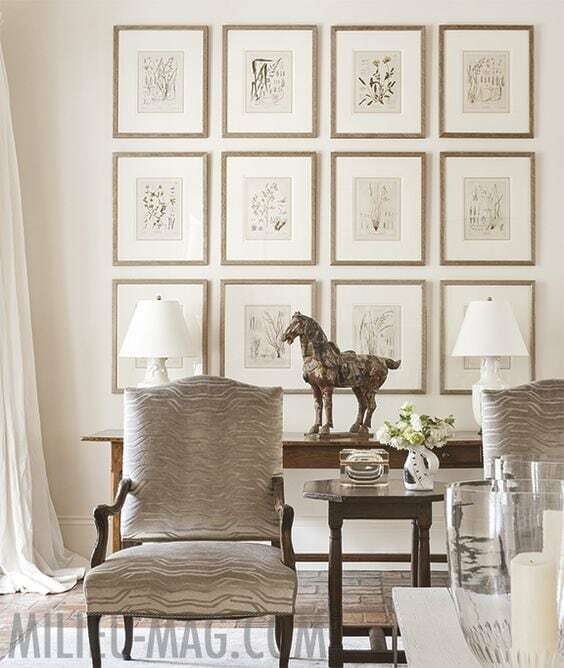 This gallery wall incorporates different styles of art and different shaped frames, and it works. Alaina Kaczmarski’s home. This is such a great idea! Love that she grouped prints of vintage maps; this would look amazing in an office, too. Merika Meyer Interiors. 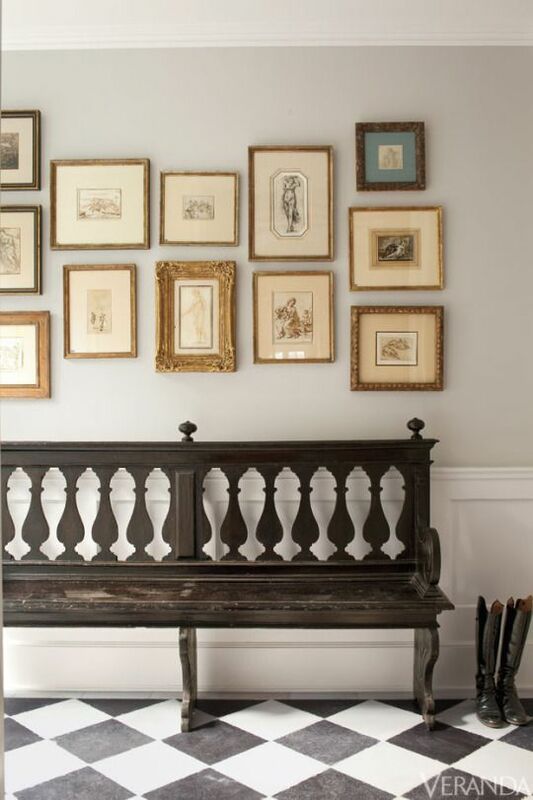 Here wall ledges are used rather than hanging everything on the wall. 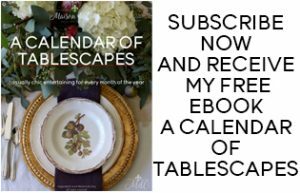 Great for anyone who’s intimated by the placement issue and/or nervous about making so many holes! Monika Hibbs. 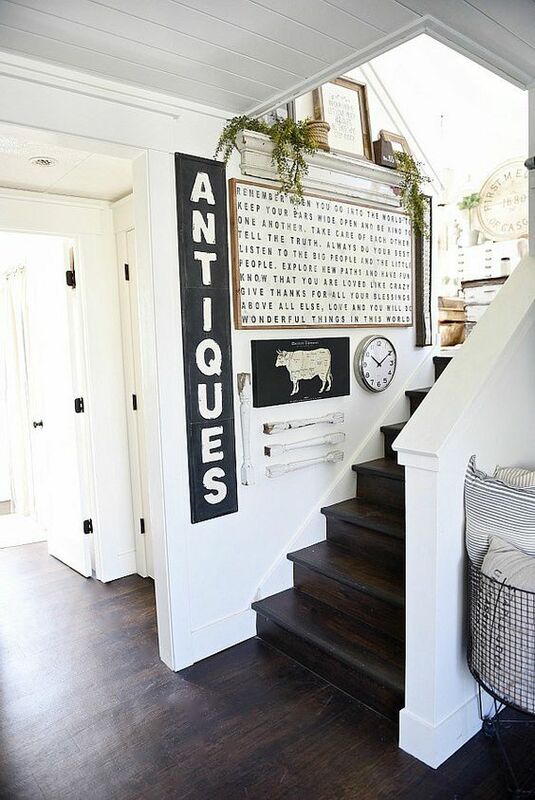 Here Marie Galvan successfully mixes art, ledges, signs and a clock on her stairwell. Love! Liz Marie blog. Very interesting placement. Sunset magazine. 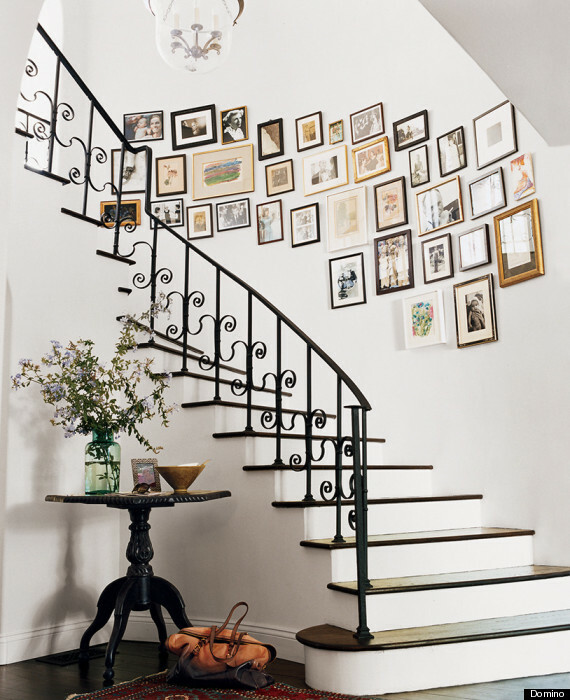 This stairwell is so gorgeous anyway, and the gallery is perfectly placed. Norman Design Group. I would LOVE to do this in a hallway! Lovely grouping of botanicals. This stairwell is particularly beautiful. 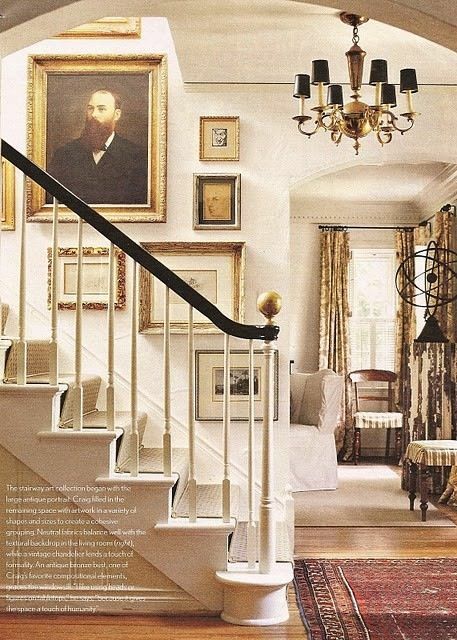 I love how the sconces have been mixed in with the art. Designer Phoebe Howard. Wow! 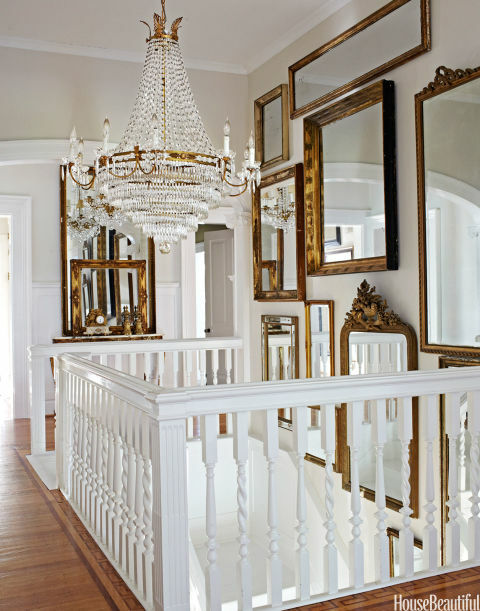 How stunning is this stairwell and landing full of mirrors?! 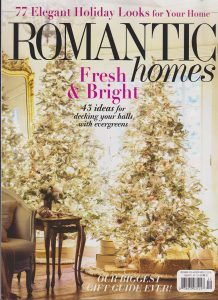 I think my jaw dropped when I first saw this published in House Beautiful! I’ve seen it on Pinterest about 1000 times and it’s no wonder! Annie Brahler’s house. 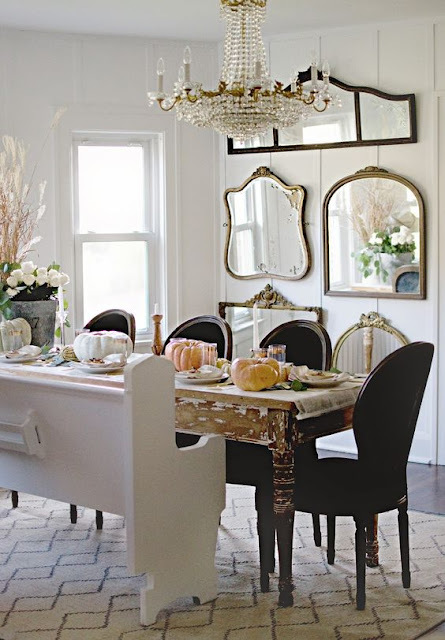 I love this group of mirrors in the dining room. 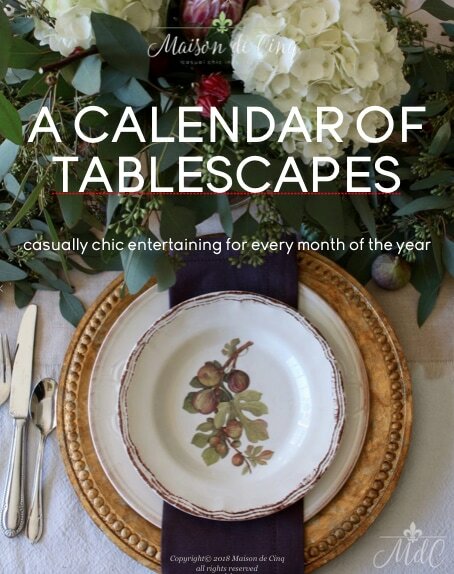 Kindred Vintage & Co. blog. 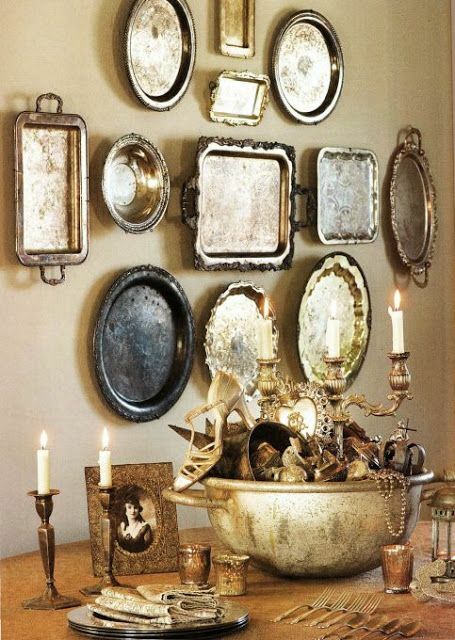 To me this grouping of antique silver trays qualifies as a “gallery wall,” even though there is no art at all! HGTV. One of the cutest walls of children’s art I’ve ever seen! Primitive and Proper blog. So glad you agree! And thanks so much for taking the time to write, and for stopping by! I'm so glad! Isn't it just the greatest when you get a wall to work out that way?! And I love that you scooped up things you weren't using. I too have several paintings just sitting in the garage, and now you've got me thinking I should do a little mini gallery wall with them! Thanks so much for taking the time to share, and for stopping by! I so appreciate it! I just finished creating a gallery wall in the stairwell and another mini one in my bedroom. I gathered up all the framed paintings I have that weren't already hanging somewhere else and arranged them on the floor of the spare bedroom. I filled several of my shadow boxes with coral, shells or minerals and included them in the mix. 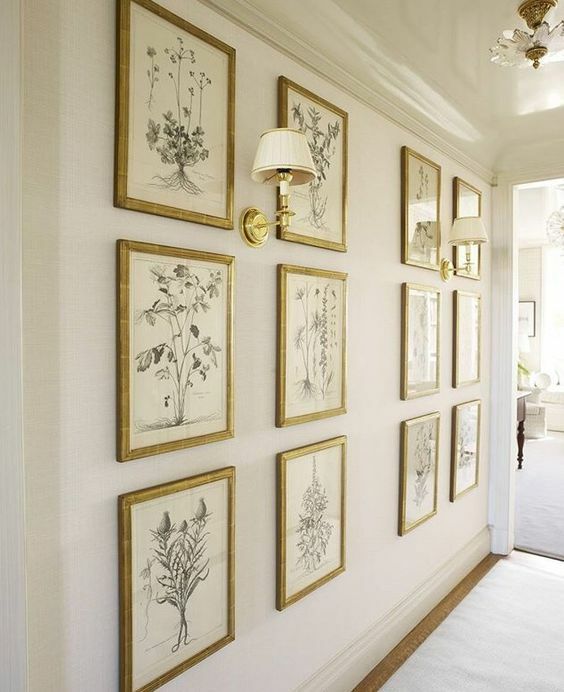 When I found an arrangement I liked, I traced each frame or shadow box shape on paper and taped them to the walls. Some minor shifting around was involved and then I was ready for the scary part – putting nails in the wall! When I was done, I was absolutely thrilled with the results – the wall turned out even better than I dreamed it would! I repeated the process for the bedroom, where I hanged two paintings in slightly different shades of blue with a white shadow box that I filled with two beautiful blue minerals. Success again. Today I'm going to hang the one remaining framed painting I have in the kitchen hallway along with a collectors box full of seashells (an idea I thought of at 3:00 a.m. – or maybe I dreamed it). Anyway, I'm really excited that all of my framed paintings are now displayed (I still have a few to get framed when I can afford it) as well as many of my shadow boxes. And I'm thrilled with the results! These are great examples. 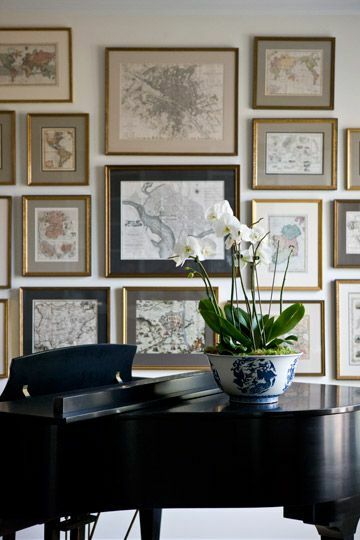 I always love the black and white look but that map one with the piano above is just perfect! 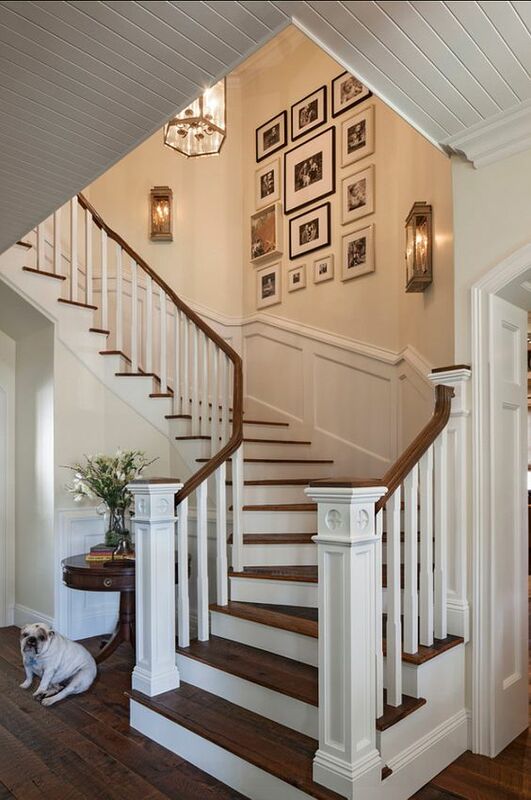 I have been meaning to put back my gallery walls in the back hallway and the family room. I mean, it's only been about 8 months since we repainted…why rush?! Enjoy your weekend, Sheila! 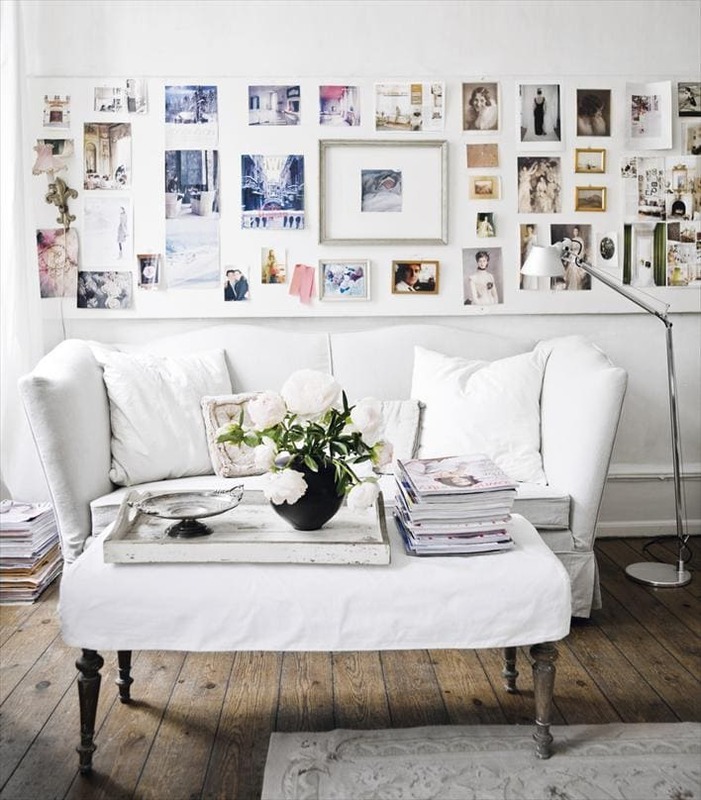 I agree, lovely photos, I love gallery walls, they are such a great decorating feature. Beautiful inspiration photos….I too love a gallery wall!! !